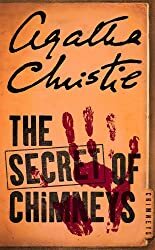 In The Secret of Chimneys, Anthony Cade is drawn into a deadly conspiracy when he agrees to carry out an errand for his old friend, Jimmy McGrath. He has to deliver the manuscript memoir of Count Stylptich of Herzoslovakia to a firm of London publishers and to return a packet of letters to a blackmail victim. It’s one of Agatha Christie’s early ‘thrillers’, first published in 1925. It is also the last full length crime novel of hers that I had left to read. I really thought I had read it but I think I was getting it mixed up with The Seven Dials Mystery, which features some of the same characters and is also set at Chimneys, a large country house, the home of Lord Caterham. The Secret of Chimneys is the first book in which Superintendent Battle of Scotland Yard appears. He is an intelligent officer, outwardly impassive and stolid, but who reaches his conclusions applying common sense. Later he appeared in four more of her novels – The Seven Dials Mystery, Cards on the Table, Murder is Easy and Towards Zero. I’m not going to attempt to summarise the plot of this book, other than to say that it revolves around political events in the fictitious Balkan state of Herzoslovakia, with attempts to reinstate its royal family, and also international crime concerning the theft of jewellery by a thief known in Europe as ‘King Victor’. 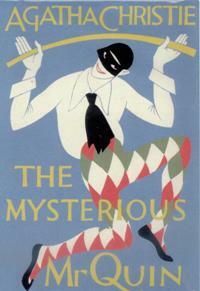 It reminds me of P G Wodehouse’s books, written in the same light and humorous style. It is sheer escapism and although it is not one of my favourite of her books, it is an entertaining book. I may have to re-read these three in order to refresh my memory before I can write about them! Sparkling Cyanide (published as Remembered Death in America) was first published in 1945. It is a novel in which a crime is investigated a year after it was committed. Rosemary, the wife of wealthy George Barton dies suddenly at her birthday party at a West End Restaurant, the Luxembourg, after drinking a glass of champagne laced with cyanide. Rosemary had been in a depressed and unhappy state of mind after having a bout of influenza.The official verdict was that she had committed suicide but a year on George, having received anonymous letters stating her death wasn’t suicide, is convinced that she was murdered. He arranges another party, this time for Iris, Rosemary’s younger sister, inviting the same guests, hoping to identify the murderer. But his plan goes awry, as after drinking a toast to Rosemary’s remembrance the party ends with yet another death. Rosemary was a wealthy heiress in her own right and after her death her inheritance had passed to Iris. George had invited Colonel Race* to both parties, but he had been absent both times. He had known George since his boyhood but had only once met Rosemary, who he thought of as ‘a singularly lovely nit-wit – but certainly not a melancholic type‘. He helps Chief Inspector Kemp of Scotland Yard to investigate both deaths. As well as Iris and George the guests at the party were Ruth Lessing, George’s efficient secretary, and Rosemary’s friends, Anthony Browne, a man with a dubious past and a politician Stephen Farraday and his wife Sandra. 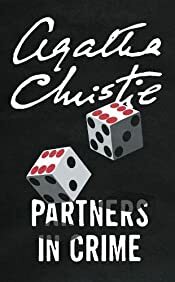 In a series of flashbacks Agatha Christie highlights each person and their relationships with Rosemary and it appears that each one, including George and Iris had a motive for killing her. I was convinced quite early on that one particular character had to be the murderer, but reading further on I began to have doubts, switching from one person to another. As it turned out I was right about my first suspect – Agatha Christie was expert at writing things that could be taken two ways. If I was right about the ‘who’ I couldn’t work out the ‘how’, particularly for the second death, but knew that where everyone sat at the round table was significant. When that was revealed I thought it was difficult to believe, which is why I don’t place it among her best books – but it’s still a very enjoyable read. And it was popular with the public achieving sales of thirty thousand in the first year of publication. *Colonel Race – first appeared in The Man in the Brown Suit, also in Cards on the Table and Death on the Nile. His appearance in Sparkling Cyanide was his last. He was an agent working for the British Secret Service, often sent on difficult or sensitive missions. In this book he is over sixty, described as ‘a tall, erect, military figure with sunburnt face, closely cropped iron-grey hair, and shrewd dark eyes‘. Reading Challenges: Mount TBR Reading Challenge and Vintage Mystery Cover Scavenger Hunt for the Golden Age in the category of ‘Bottle/Glass for drinking’. In 1944 Agatha Christie published Death Comes as the End and in 1945 Sparkling Cyanide, neither of them featuring Hercule Poirot or Miss Jane Marple. By chance these two books are the last full length crime fiction novels by Agatha Christie that I had left to read. There are plenty of short stories of hers that I still have to read and her Mary Westmacott novels as well as her plays, so it is not the end of my reading of her work. From these letters she constructed her story, adding Renisenb, a daughter, Nofret, a concubine for Imhotep, the father, a spoilt younger son and a greedy but shrewd grandmother. He is besotted by Nofret who antagonises the family, setting Imhotep against them. 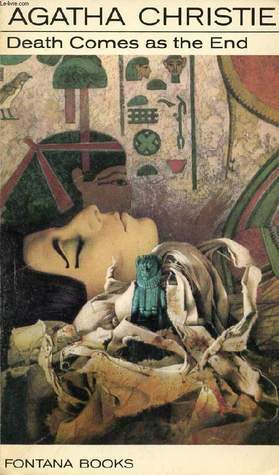 Things come to a head after Nofret has manipulated Imhotep to disinherit his sons and marry her and she is found dead, apparently having fallen from a cliff. More deaths follow. The mystery in this book is actually not too puzzling. For me, its interest lay in the setting and period details. Agatha Christie, according to her Autobiography had done a lot of reading from books lent to her by Glanville and had also bombarded him with questions about daily life and customs in the 11th Dynasty – such as what food did they eat, how did they cook it, did men and women eat together, what sort of rooms did they sleep in, where did they keep their linen, what sort of houses did they have, and so on? The end result for me was of authenticity – it all came over as real, the characters were individuals, their relationships were convincing and although Agatha Christie wasn’t happy with the ending, which she changed on Glanville’s suggestion, I thought it was fine. And just as she had pleasure in writing it I had pleasure in reading it. Reading Challenges: Agatha Christie Reading Challenge, Mount TBR Reading Challenge, Vintage Cover Scavenger Hunt for the Golden Age in the category ‘A Green Object’.